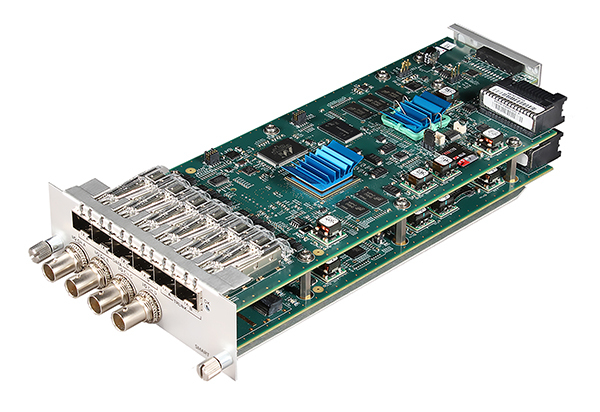 At the VidTrans19 Conference & Expo, Artel will highlight the SMPTE ST 2110 compatibility and AES67 audio-over-IP accuracy capabilities of its Quarra PTP Ethernet switches. The Quarra family of PTP-enabled switches offers the industry’s most accurate IEEE 1588-compliant timing and synchronization. The switches support SMPTE ST 2110 and ST 2059-2, permitting interoperable use of IP-based media equipment with conventional genlocked SDI equipment. They are RAVENNA AES67-approved and Dante- and QSC-tested. Quarra switches are designed for audio/video broadcast, defense and security, finance, utilities, telecom, and enterprise IT applications that require accurate timing and control. At VidTrans19 Artel will be participating in the RIST technology demonstration through the use of real-time, contribution-quality video streams exchanged over the public internet between Marina del Rey and Artel’s R&D facilities in Westford, Massachusetts. Artel Video Systems is a world-class provider of innovative, real-time multimedia delivery solutions serving global markets. Today, most live events in the U.S. traverse Artel products to support their mission-critical workflows. Artel’s expertise in IP- and fiber-based technologies spans more than 30 years and has established Artel as a trusted partner in the development of reliable, standards-based IP infrastructures. Artel’s integrated solutions include precision timing, IP-and fiber-based multimedia delivery, data networking, and OTT systems. Artel is an employee-owned business. More information is available at www.artel.com.